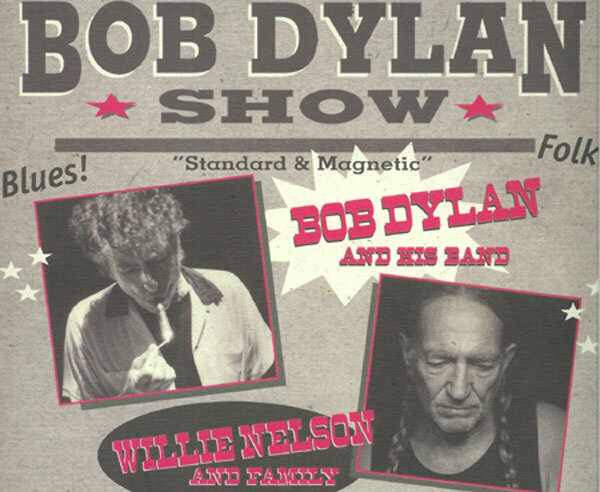 Bob Dylan will tour with Willie Nelson & Family this summer. As reported by bobdylan.com, "The Bob Dylan Show" will be played in 22 Baseball parks starting in the home of Baseball's Hall Of Fame - Cooperstown, New York. Dylan has performed with the legendary Country singer on several occasions before. This will be the first time on a joint tour. UPDATE: Pictures from the "Field of Dreams Tour 2004"